At the corners of Pacific Ave, Mission Street and some other street. 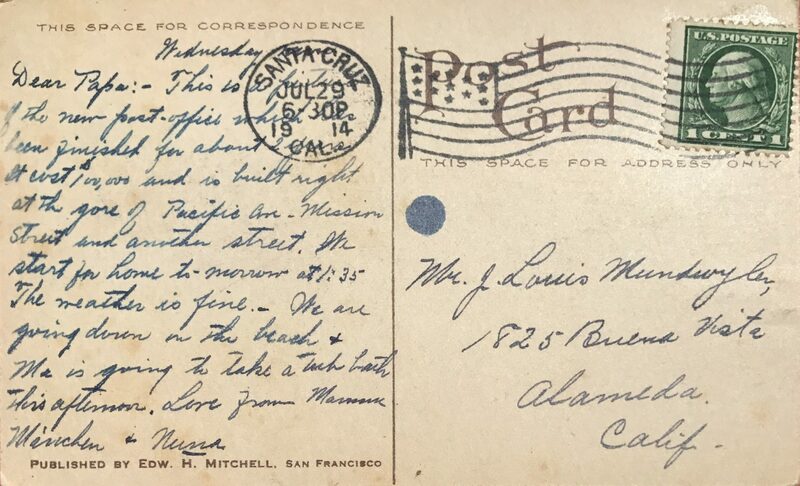 This gem of a card was sent from Santa Cruz to Alameda in 1914, and the sender was excited enough about the Santa Cruz post office and its $100,000.00 price tag to write home, with the summer beach nearly just a footnote. I like to imagine that Papa was a postmaster, and he was very proud of his kids! 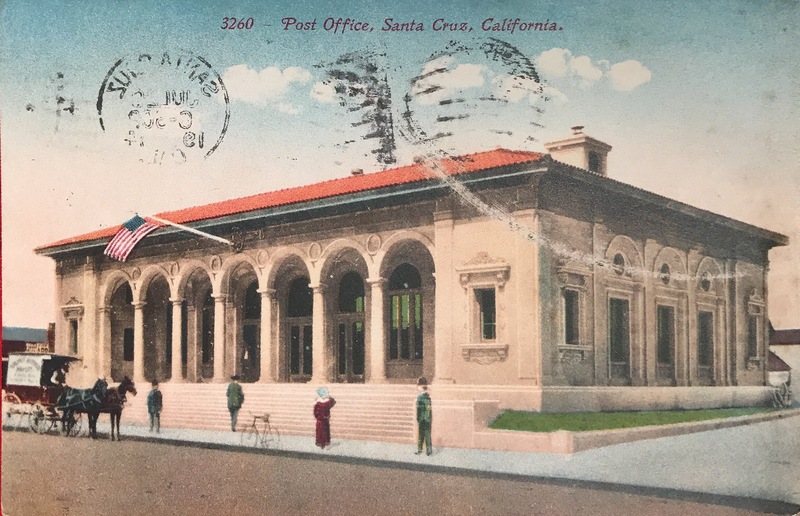 3206 – Post Office, Santa Cruz, California.